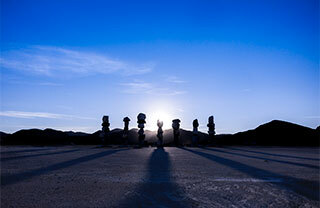 Join Nevada Museum of Art Center for Art + Environment Director Bill Fox and internationally-revered Land Art photographer Gianfranco Gorgoni in a visual journey through the history of Land Art leading up to a new chapter in the tradition’s story with Ugo Rondinone’s Seven Magic Mountains. Talk will be followed by a hosted reception, with photo signing and informal discussion. This event is free and open to the public, with a suggested voluntary contribution $5 for adults; $2 for children and seniors. Special sponsorship for this talk provided by UNLV Marjorie Barrick Museum. Details here.